As promised, I have another surface area lesson to share today! 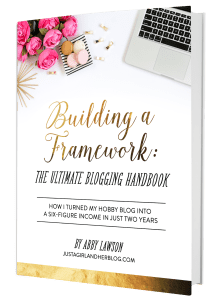 This builds on students’ previous knowledge from the prisms and cylinders lesson to get them thinking about other three dimensional shapes: pyramids and cones. 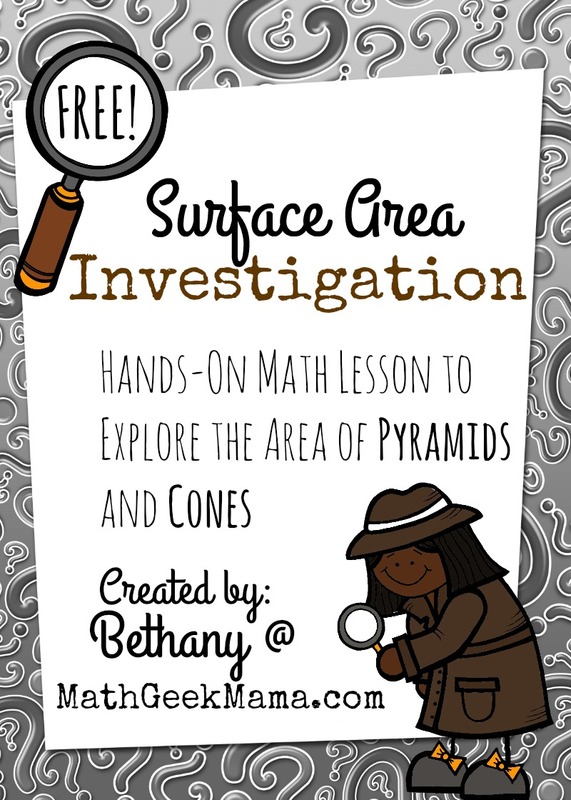 This FREE surface area of pyramids and cones investigation is a sure way to get kids thinking and better understanding area. 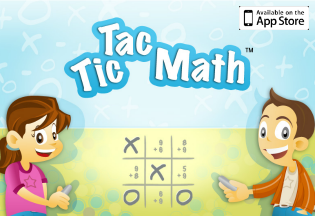 It is also a fun, hands-on way to help them form a conceptual understanding, rather than trying to memorize formulas. This lesson is intended to be used together with the prisms and cylinders lesson, but helps students take their learning a bit further as they now have to consider cones (which do not have all flat faces, like the other 3D shapes). The worksheet included in the previous lesson can be used throughout your surface area unit to allow students to work out problems by thinking logically about surface area rather than using a formula. Included in this FREE download are teaching tips, a student handout and discussion questions with answer key. It also includes printable nets for a pyramid and a cone. 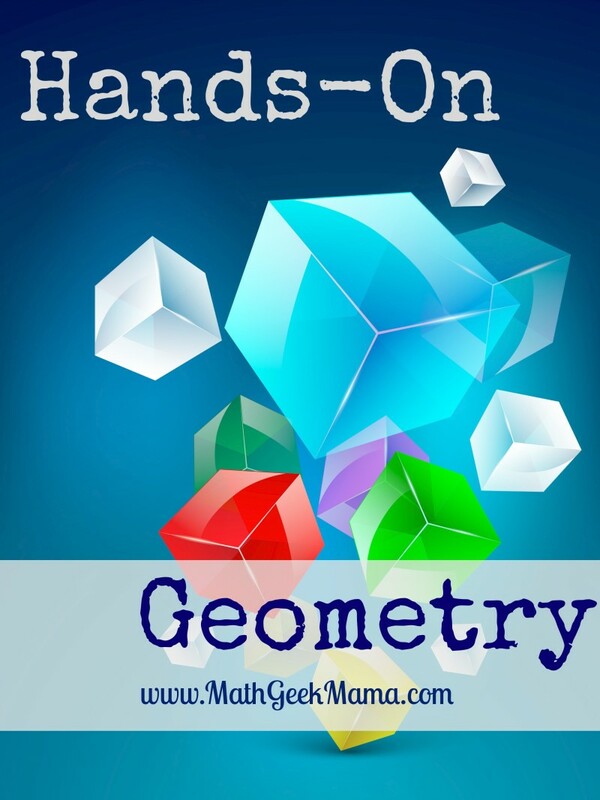 You may also like this set of 3D shape nets, which includes the net of 8 different 3D shapes. These can be folded together to provide a visual of the shapes, or they can be used flat as a way to measure and explore surface area. 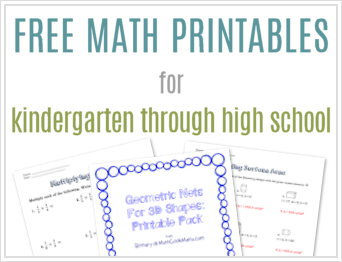 I hope you find these helpful, and be including sure to grab these 3D shapes practice worksheets as well!